How safe is your workplace? While warehouses and construction sites prioritize safety procedures and make sure every worker is equipped for the job, every office needs to make sure its employees is safe on the job. Even places that aren't considered hazardous still need to take precautions and be prepared. That's the message of National Safety Month. Throughout June, we have several deals to save money on safety essentials. For more active workplaces with more hazardous conditions, check out our selection of protective gloves, hard hats, and safety vests. 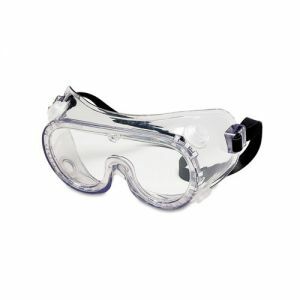 Job site conditions may also warrant boots, face masks, and protection for the eyes and ears. Even in a typical business office, National Safety Month is a good time to look at your precautions and add to or replenish your safety supplies. Are your first aid kits fully stocked? Is there proper signage indicating exits, fire extinguisher locations, and wet floors? 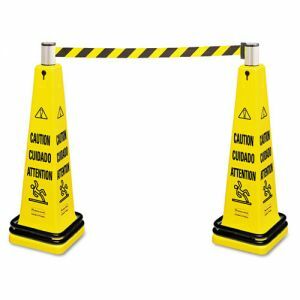 Do you have temporarybarriers preventing people from walking somewhere temporarily dangerous? All of these are important and all of these are now on sale. Check out this page for our full range of safety supplies for sale all month.